established since 1975. Providing personalised service, individual programs & the beauty of 7 separate areas. Our instructors are constantly supervising training, techniques, diet and training information with results to match. 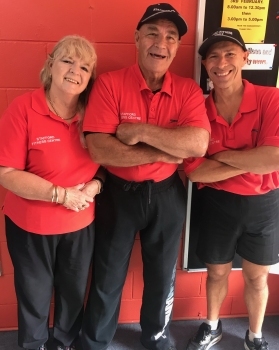 With great family service you're in good hands at our Stafford Fitness Centre! Stafford Fitness Centre is The GYM for EVERYBODY! With Over 250 Pieces of Machines & Cardio Equipment Stafford Fitness is So Well Equipped That There Is No Waiting In Line. One of Brisbane's Best Equipped Cardio & Resistance Gymnasiums! With all the latest commercial-grade gym equipment to let you make the most of your workout in comfort. Not Happy with your current fitness centre? Why not give us a call for a special deal. To See Our Pricing & Special Offers Click Here. NO MEMBERSHIP FEE, NO JOINING FEE, CANCEL ANYTIME!